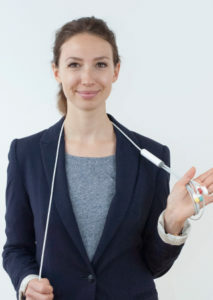 CardioSecur is an innovation of Personal MedSystems GmbH, based in Frankfurt am Main, Germany. Personal MedSystems is a high tech start-up company, financed by venture capital firms Seventure Partners and High Tech Gründerfonds. Our company received the ISO 13485 certification from TüV SüD in 2011. Markus is one of the founders of the Personal MedSystems GmbH and as general manager he is responsible for R&D. He has a PhD in Engineering (Technical University of Munich, Germany) as well as a diploma (master equivalent) in Electrical Engineering (University of Saarland, Saarbrücken, Germany). He holds 10 patens in the area of modern ECG application and electronics. 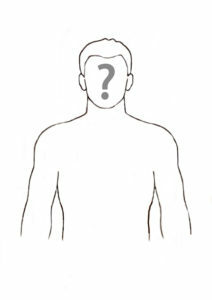 In addition he is a member of several national (DKE) and international (IEC) committees of standardization (e.g. ECG and risk management in medical IT networks) that are developing national and influencing international standards in diagnostics, electrometrical equipment and medical IT networks. Furthermore, he is lecturing at the University of Trier on the design of medical devices. 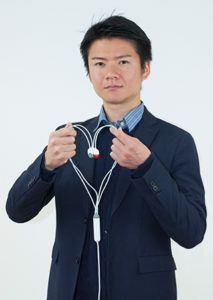 As our engineering brain, he has been leading the development of CardioSecur’s hardware and software since the beginning. Thanks to his passion for metrology and mobile ECG devices, we are now able to offer our customers a 22-lead mobile ECG, enabling a 360-degree view of the heart. Surely this has not been the last innovation by Markus. 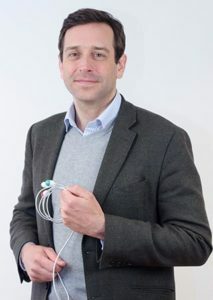 In his daily work at Personal MedSystems, Markus particularly profits from his more than fifteen-year-experience in ECGs and their evaluation. 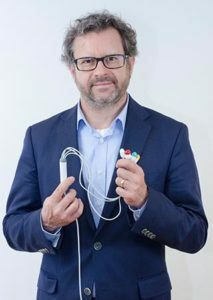 At that, he especially profits from his research in metrology and telecommunications at the Technical College in Munich and at SIEMENS that help him realize his visions in the area of smartphone-based mobile ECG systems. 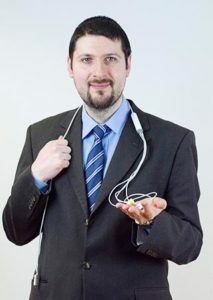 Moreover, as a freelance advisor for SIMENS and the Frauenhofer-Gesellschaft, he was able to gain valuable work experience in the area of telemedicine. Besides being able to buy the results of his technical knowledge in our web shop, you may also read about it, as he has published numerous publications about metrology. Felix is one of Personal MedSystems GmbH’s founders and is responsible for the areas: operations, finance, and law. His specialty is supply contracts for innovative health care services. Since 2007, he works in mHealth. He began his career with Mercer Management Consulting (now Oliver Wyman) in Munich in 1998, where he worked as a consultant in the area of consumer-oriented telecommunications and pay-TV. In 2000, he changed to the consumer goods industry to EIKA GmbH where he gained extensive management experiences as Managing Director and was responsible for 250 employees. Since 2006, he is concerned with patient-centric healthcare solutions that can be integrated in consumer electronics. Felix is a trained jurist in German and English law (LLB) and has an MBA from SDA Bocconi in Milan. After completing a 3 1/2 year apprenticeship as a radio and television technician he was called to the "Bundeswehr" to repair and maintain radio transmitters. Afterwards, he studied Engineering Informatics at the University of Applied Science in Bingen. While studying he launched his first company on his own and developed a field bus system connectable to MacWorkbench (1986), one of the first graphical measure and control applications on the Apple Mac. In 1988 he took over the complete application development. After doing development for twenty-foot, container-based water cleaning and electro mobile cars he extended software development to iOS apps with the appearance of the iPhone. He started development for CardioSecur in 2011 and has been part of the CardioSecur team since 2016. Dr. Kenedi is an internist and cardiologist and the medical advisor of our team. After his studies at the Semmelweis University in Budapest, and after several years as a senior physician at the University Hospital he followed a cardiology fellowship at Mount Sinai Hospital in New York. 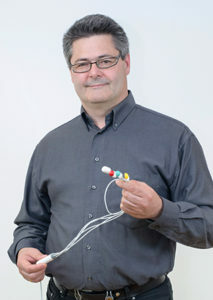 Additionally, he worked with IBM in the automatic analysis of ECG by computer. His habilitation thesis / PhD / includes vectorcardiographic investigation of the left bundle branch block on the computer model. Dr. Kenedi worked at the University Hospital of Dusseldorf and at the Diakonissen Hospital in Frankfurt, where he worked as medical director and head of the department of Internal Medicine from 1999-2001. Since 2001 he has been working as a practicing cardiologist in a private clinic in Frankfurt. 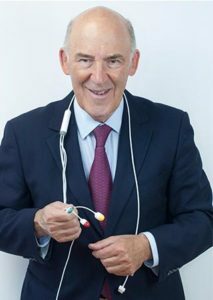 In addition, he has published 120 publications, mainly in the field of electro-vectorcardiography and has written a book entitled: "What you always wanted to know about the ECG ...". Since April 2015, Nicola is responsible for Marketing. Additionally, she is taking care of business partner relations and cooperations. 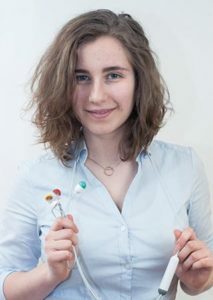 After completing her Bachelor of Science degree in international Business Administration at the Frankfurt School of Finance and Management, she is currently doing her Master of Arts in General Management at the International University Bad Honnef. Moreover, she has great practical experience from working at companies like Bankhaus Metzler, Burson-Marsteller and Deutsche Lufthansa AG. Ariane is an expert in handling all relevant online marketing and social media tools. She furthermore is a key source for creating online content. After completing her Bachelor of Science in Health Sciences at James Madison University in Virginia, USA, she completed a Master of Science in Physician Assistant Studies at Stony Brook University in New York, USA. She then spent the next five years working as a Physician Assistant in New York in the fields of Hematology/Medical Oncology and Emergency Medicine. Jess has been at CardioSecur since September 2016 where she uses her medical background to support the various teams within the company. She is also responsible for Customer Support and English Content. Dimitri has been at CardioSecur since March 2017, and is responsible for iOS app development and research. 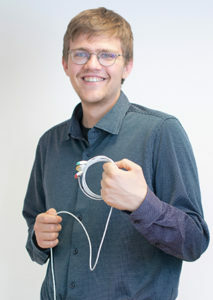 After completing his master’s degree in Computer Science at the TU Darmstadt, Dmitri gained comprehensive experience as a research associate at the University Hospitals in Frankfurt and Bonn as well as at the Frankfurt University of Applied Sciences. Clara has been on board as part of the marketing team since April 2017. She is responsible for Graphics, Visuals and Videos to promote the company. 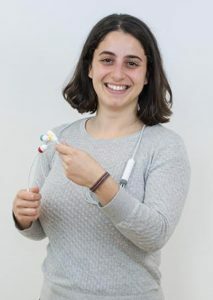 After completing a Diplom in Audiovisual Communications in Valencia (Spain) and a Bachelor in Digital Media in Darmstadt (Germany), she decided to continuing furthering her skills in Germany. 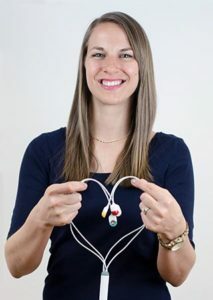 With much experience in fields such as video marketing, corporate design and start ups, Clara loves working as part of a team and sharing creative ideas to give CardioSecur a great look. Philip has been working at CardioSecur since July 2017 as a member of the customer support team. He completed an apprenticeship in IT and Economics, which he uses to support the team in all aspects of customer support including order processing, customer requests and support inquiries. Takeshi Suenaga completed his Bachelor of Arts in Commerce, specialising in Cross Cultural Management at the Waseda University in Tokyo, Japan. Starting in August, 2016, he participated in a one-year exchange at the Frankfurt School of Finance and Management. In January, 2017, he started working for CardioSecur as an intern in the operational department, and has since assumed more responsibilities in the same division as a full-time member of the team. Takeshi is passionate about marathon running and cooking. 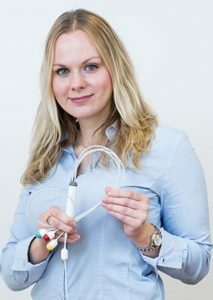 Susanne joined the CardioSecur team in September 2017 and is responsible for Public Relations and Social Media. She started her career in PR while studying Sociology and German studies at the university of Mannheim, where she completed her bachelor’s degree in 2012. Susanne gained experience working for two marketing and communication agencies and the hotel chain Hilton. Born in Bogota Colombia, Camila worked for more than three years in the Berlin start-up scene. During her time in Berlin, she worked as Senior Marketing Manager for a technology-based start-up. During that time, she published content, designed layout, streamed the navigation, increased the online presence and promotion for the B2B Website. Before that, during three years, she was responsible for the conception, implementation and controlling of the marketing strategies for an online bookstore in Strasbourg (France). Camila joined the team as Digital Marketer in November 2017. After he received his Bachelor’s Degree in Computer Science from the Cooperative State University Mannheim (Germany), Nathan lived in Berlin for nearly three years. He worked in an agency which develops apps for large enterprises and gained a lot of experience in software development in general. 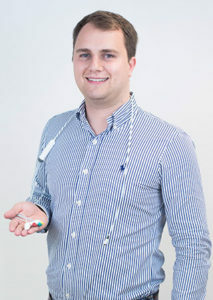 Since October 2018 he has supported the development the CardioSecur iOS-Apps as a software engineer. 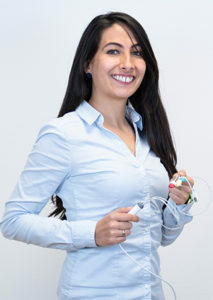 Being situated in Frankfurt, the Personal MedSystems GmbH is a Medical Technology start up, operating worldwide. If you would like work in the exciting environment of an aspiring start-up, seize the initiative and apply for your favorite position now. We like to be surprised. Simply send us your application via email at recruiting@cardiosecur.com and become part of our team. 12-Kanal, 22-Kanal, automatische Vermessung, manuelle Vermessung, automatische Interpretation, Pro App Assistent. EUR 5.000 (konventionell) vs. EUR 199,- einmalig + EUR 9,95 (12-Kanal) monatlich x 10 Jahre = EUR 1.194,-. Ergibt insgesamt nur Kosten von EUR 1.393,- über 10 Jahre! Unschlagbar günstig und flexibel änder- und kündbar!